Saint Pierre Chanel Day is a public holiday in the Territory of the Wallis and Futuna Islands, a French territorial collectivity in the South Pacific. It is celebrated on April 28 in honor of Saint Peter (Pierre) Chanel, the patron saint of the island of Futuna. Pierre Louis Marie Chanel was a Catholic priest and missionary. In 1831, at the age of 28, he joined the Society of Mary (Marists) that focused on missionary work. Initially he served as the spiritual director at the Seminary of Belley, but in 1836 he was finally sent on a mission to the South Pacific. In November 1837, he arrived on the island of Futuna. The missionaries were initially well received by Niuliki, the King of Futuna. However, when they learned the local language and started to preach, the King began to be afraid that Christianity would undermine his authority. When his son decided to be baptized, Niuliki sent his son-in-law Musumusu to kill Chanel. On April 28, 1841, Chanel was clubbed to death. In 1889, Chanel was declared a martyr and beatified. In 1954, Pope Pius XII canonized him. 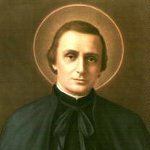 Saint Peter Chanel is recognized as patron saint of Futuna and the entire Oceania. His feast day was declared a public holiday in Wallis and Futuna.